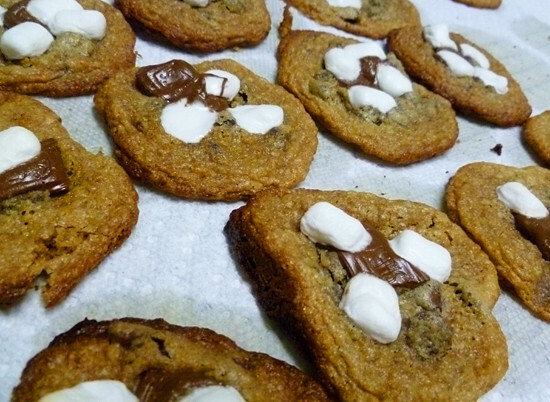 I decided to make a special treat this weekend: S'mores cookies!! I thought: "What better cookie to take to a weekend in the countryside mountains than s'more cookies?" And let me tell you, these cookies are DE-LISH! The cookie dough itself has graham cracker crumbs in the mix (as well as chocolate chips... um YUM!). 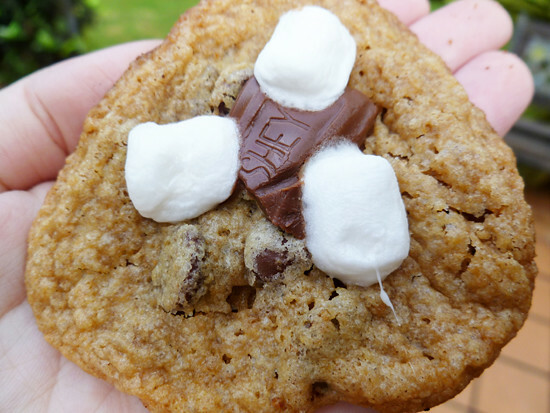 Apart from the yummy Graham-cracker-chocolate-chip-delicious-dough, this cookie features mini marshmallows and Hershey chocolates melted on top (OMG!). The result? All the delicious flavors of s'mores without all the mess. 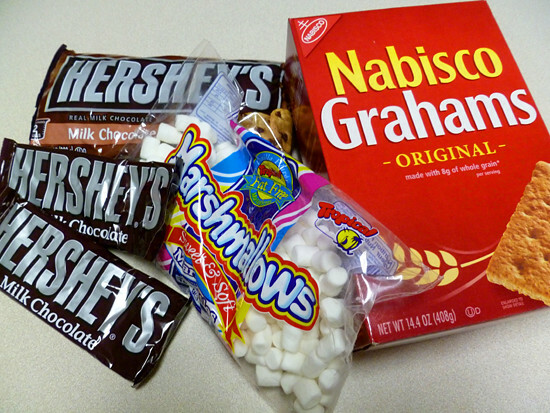 And there you have it folks, the secret to making S'mores without the need of any bonfire. The cookies turn out chewy, chocolate-y (but not overwhelmingly chocolate-y), and tasty. I would give these cookies a 9.5 out of 10! I wouldn't change a thing about them. They were scrumptious! Oh yes! Those do look delish! Thanks for the recipe because we will be making those this weekend!